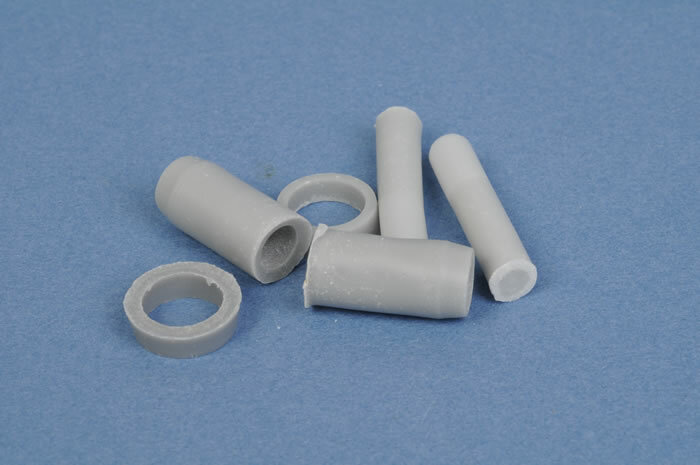 35 parts in grey coloured resin; two parts in white metal; hypodermic syringe; metal wire; detailed instructions. Great timing for the new Airfix / Xtrakit / MPM Meteor; well cast resin parts; effectively addresses some of the less detailed areas of the Xtrakit Meteor; detailed illustrated instructions including plenty of reference; 90% of the set will be applicable to RAF Meteors too. 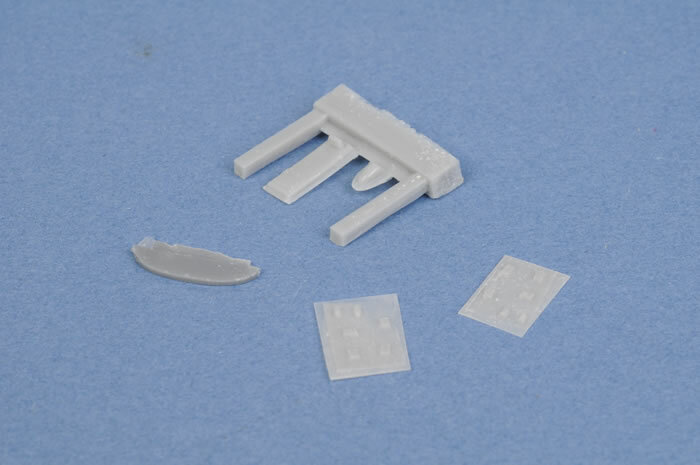 Red Roo Models has released a 1/72 scale multimedia enhancement set for the Xtrakit / MPM / Airfix family of Meteor Mk.8 and PR.9 kits. 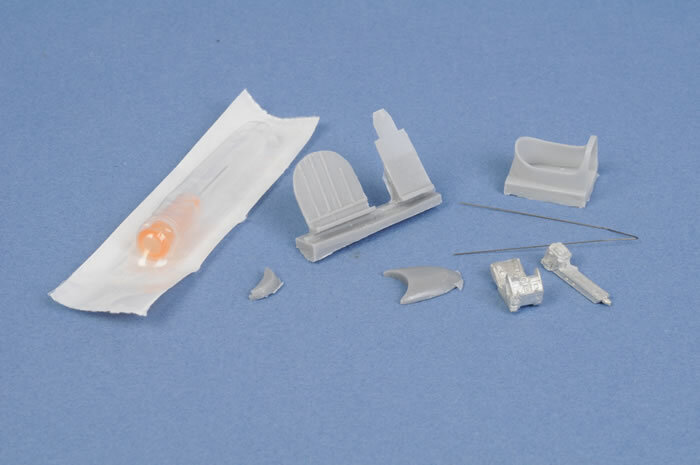 Red Roo's enhancement set comprises 35 parts in grey coloured resin, two parts in white metal, a hypodermic needle, metal wire and detailed instructions. This set admirably addresses the less detailed areas of the new Meteor kit. 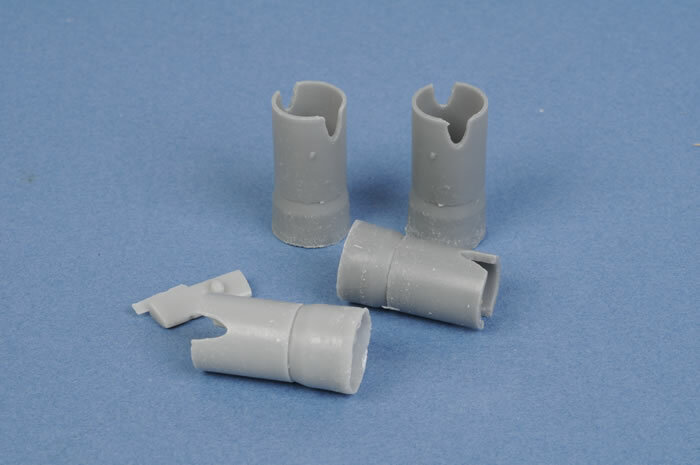 Resin parts include nose wheel leg door, nose wheel bay front and rear bulkheads, cockpit pressurisation seal collar, ammo bay bulkhead, fuel gauge panel, canopy internal shroud and shroud former, canopy demister container, canopy skirts, seat support armour plate, six engine vents, large and small diameter jet intakes, 2 exhausts, 2 washers, 2 locating bushes and the left hand inner wing leading edge. The resin parts are well moulded, but some cleanup will be required before assembly. 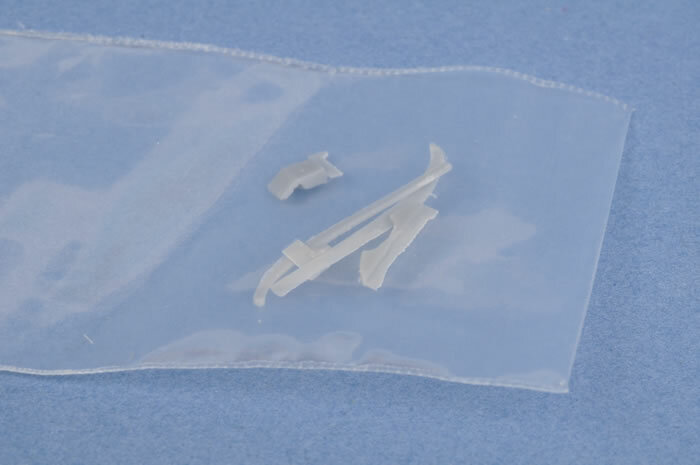 A replacement Martin Baker Mk.2 ejector seat is also supplied in white metal, along with a 25 gauge hypodermic needle and 2 "V" shaped 0.010" wires. Detail of the Xtrakit / Airfix kit is not bad at all (check out my construction article from last year to see how the model looks almost straight from the box). The main shortcomings are that the seat is very basic and there is some detail missing from the cockpit and canopy. Red Roo's set addresses these shortcoming and much more. It will add a remarkable air of authenticity inside the airframe and out. Instructions are supplied on 18 A4 pages, with detailed descriptive text, colour photos of construction, technical drawings and reference images of the real thing. This is almost a reference booklet on RAAF Meteor details in its own right. Although the set is specified for RAAF Meteor Mk.8s, most of the parts will be equally relevant to RAF Meatboxes too. 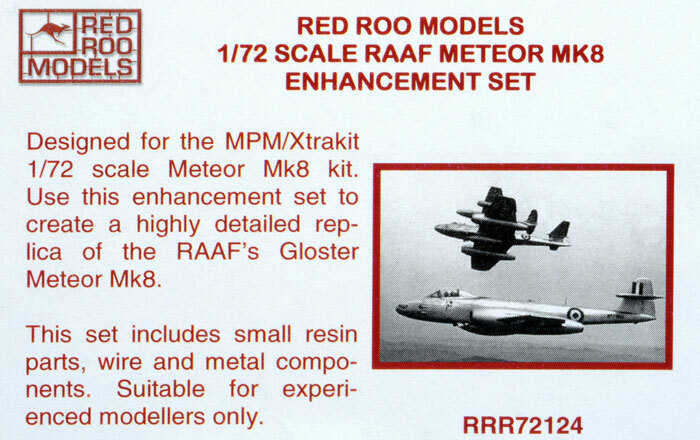 Red Roo's 1/72 scale RAAF Meteor Mk.8 Enhancement Set is a serious multimedia set for the serious modeller. This will be a challenging yet interesting project, and will result in a super detailed, highly accurate model. If you are experienced with small scale multi-media conversions, I am sure that this will be a very rewarding experience!